Swivel Tray for the Couch Cane by Standers is an accessory table with a cup holder and pencil tray. Upgrades the Couch Cane to an Assist-A-Tray. Quick assembly, no tools required. Tray swivels and arm pivots 360 degrees. The Swivel Tray for the Couch Cane by Standers is an accessory table with a cup holder and pencil tray. 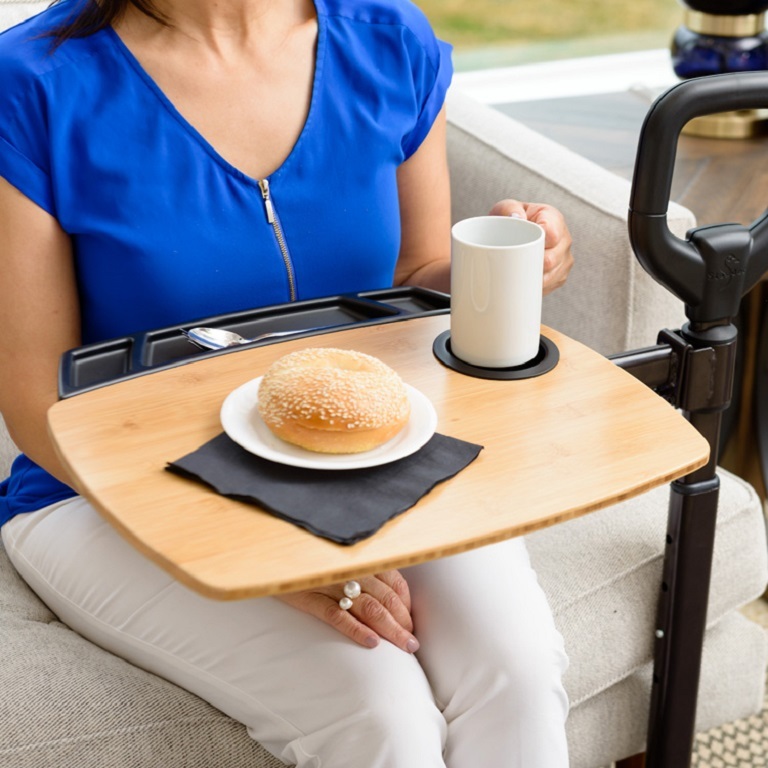 People with limited mobility using the Couch Cane will find the Swivel Tray provides a convenient table top. 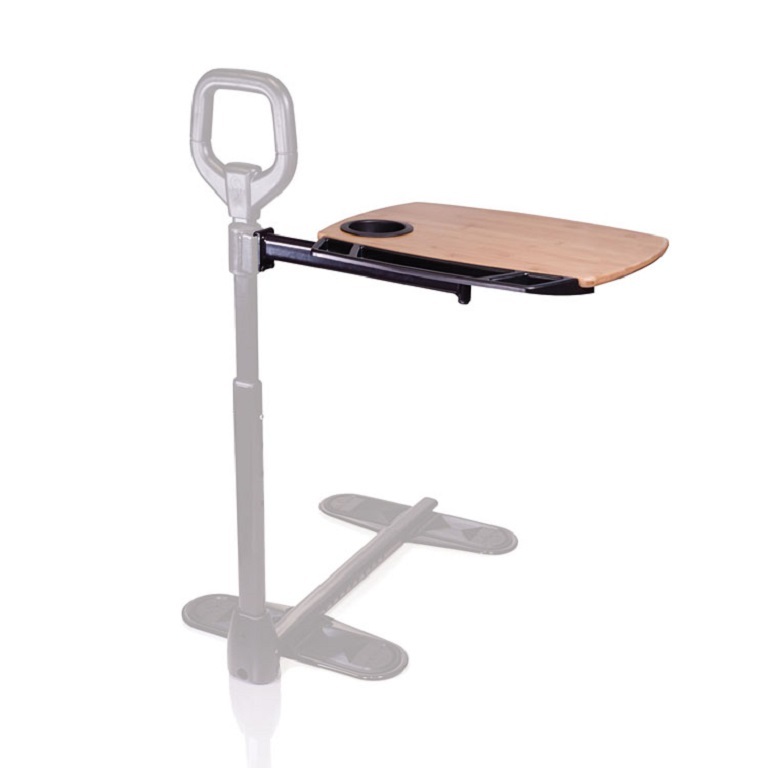 The Swivel Tray accessory table can also be used as a desk top for a lap top computer, is ideal for meals, and swivels out of the way when not being used. The large 16 x 18 tray surface holds up to 30 pounds. The swivel tray and arm attaches easily to the Couch Cane. The Swivel Tray with the Couch Cane is the same as the Assist-A-Tray AST2050 by Standers. Please note, the Couch Cane is not included. Fits: AST412 Couch Cane by Standers. Measures: 16 x 18 inches. Weight limit of tray: 30 pounds. Includes: Cup holder and utensil compartment. My wife lost her hearing and left side mobility from a stroke. She depends upon her laptop for communication, news and entertainment and this tray is a perfect fit in addition to using it at meal times. It''s easy to use and swings clear when she needs to get up.